Philadelphia – – Back to the Future was an iconic movie. Having a panel with autograph possibilities for fans was a stroke of brilliance. 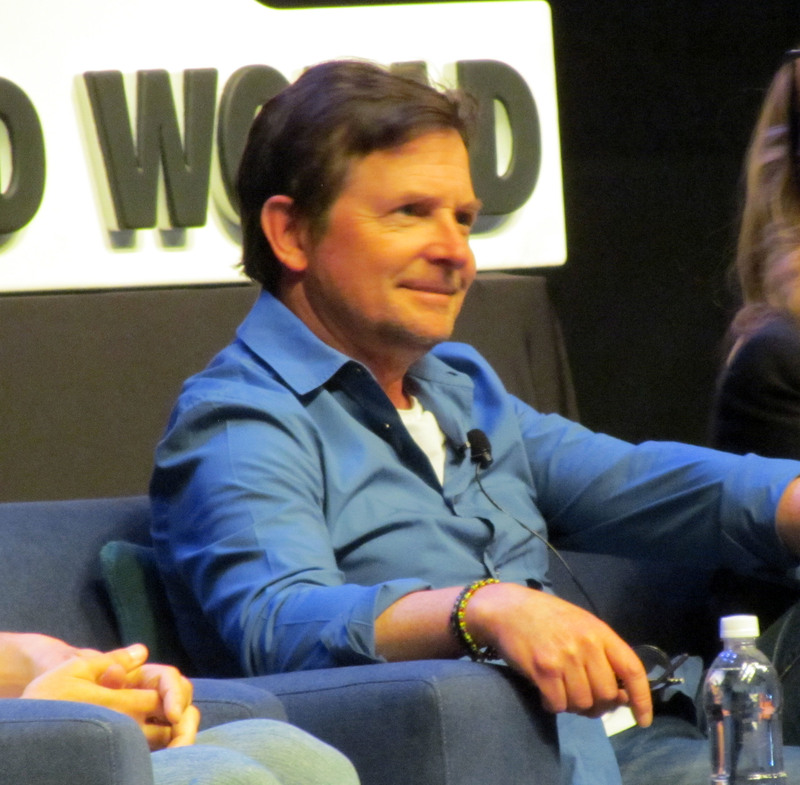 Back to the Future was a nice reunion that brought back a ton of great memories for the crowd as well as the entire panel. Michael J. Fox (pictured below) talked about how he almost wasn’t in it and how he replaced Eric Stoltz. There were issues with him fitting this movie in while also filming Family Ties. Lea Thompson and Christopher Lloyd mentioned how odd it was to one day film with Stolz and then the next with Fox. The Captain America “Civil War” panel was star studded. Anthony Mackie (Falcon), Sebastian Stan (Winter Soldier), and Chris Evans (Captain America), all got together. They clearly get along famously. Stan talked about auditioning for the lead since that’s what the only character they were calling for at the time. Mackie called Stan’s character a quintessential a-hole. Mackie also suggested the three remake “Lethal Weapon” or “Three Men and a Baby”. Here was the show stopper for some. They talked about which of the Marvel movies were their favorites. The answers might surprise you and it’s amazing how well these films are aging. They will have a long shelf life and these actors will always be remembered for their parts. Speaking of that Dominic Cooper (Tony Stark) was there with Hayley Atwell (Agent Carter). Atwell appeared last year. She’s now looking for work as far as Agent Carter is concerned. The hope is the show can continue on another network. That’s a developing story we’ll keep an eye on. Wizard World will return here 6/1-4, 2017. There’s always a buzz around town when they get there and it’s always a let down when they leave. Mike del Tufo contributed to this article as well.